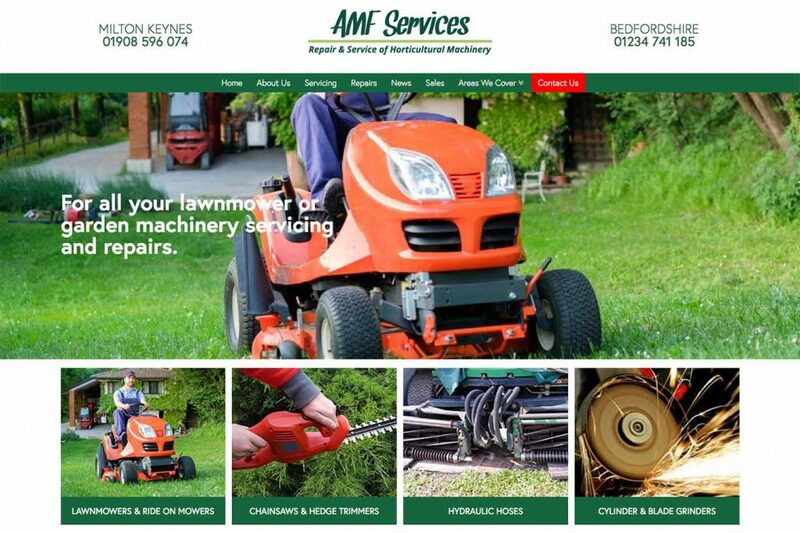 The aim of the AMF Services website redesign was to create a new responsive design which was mobile friendly, with a much improved user experience across all devices. AMF Services also wanted to be able to add and remove products with ease, showing what they had available for sale in store and to keep their customers updated with the latest news. We created a new website, with a modern look and feel to it, and implemented a CMS (content management system) called WordPress. This allowed AMF Services to easily add and remove products, whilst keeping customers updated with their blog styled news feed. The imagery on the site also helps to keep users more engaged and the responsive design vastly improves user experience across all devices. AMF Services’ original website needed improvements in order to meet today’s standards in web design. This meant applying now standard practices such as responsive web design (to allow a web page to display correctly across a range of devices) and improved user experience across the board. The site represents the AMFs services through a modern, aesthetically pleasing design that encourages users to get in touch. One of AMF’s key requirements was to include the functionality to update and change products listed on the website. They also wanted a section where they can provide customers with their latest news. To achieve the required results, and to plan for any possible future expansions of the website, we used the content management system WordPress. This platform, used to build websites, allows designated users to update content quickly and easily. The latest news section was also categorised into key topic areas, improving the usability of the site for visitors. It was important to the customer that they were able to convey clearly what services they offered on their service pages and so that was a big focus when designing these pages. The “Servicing” and “Repairs” pages both have a central grid which shows a description of the service available and corresponding images. There have been huge improvements in their online visibility since the launch of the new website alongside their SEO campaign.